Cookie the penguin is an international superstar, and for good reason. The adorable critter went viral when a video of him (below) surfaced in early 2010, amassing over 10 million views since. In it, the pint-size penguin flutters about in the cutest way, but make sure to keep watching all the way to the end: The last part is where the magic really happens, as the little guy finally finds the Cincinnati Zoo's caregiver. 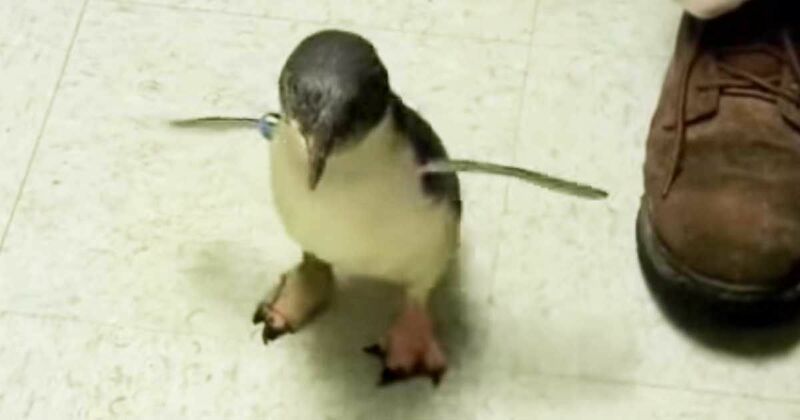 Cookie's Facebook page lists an interesting tidbit: The term "little penguin" isn't just being used here to make him sound cuter, it's an actual species. The alternative name for little penguins may just be even cuter: "fairy penguins." Seeing this little one flapping his wings, it wouldn't be too much of a reach to imagine him casting a spell on us right there. In fact, he might have done just that! Make sure to share this video with your friends on Facebook. Such cuteness should not stay hidden!